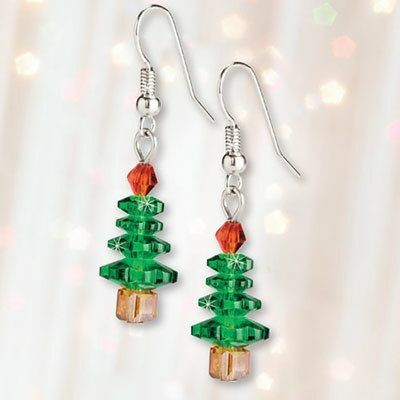 All it takes is a hint of something special to liven up the holidays, and these Crystal Christmas Tree Earrings will! Faceted crystal beads create the 3-D trees. Silver-tone French wires. 2¾l.